Who is Jane Moffat, anyway? She isn't the youngest in the family, and she isn't the oldest -- she is always just Jane. How boring. So Jane decides to become a figure of mystery... the mysterious "Middle Moffat." But being in the middle is a lot harder than it looks. In between not rescuing stray dogs, and losing and finding best friends, Jane must secretly look after the oldest inhabitant of Cranbury... so he can live to be one hundred. Between brushing her hair from her eyes and holding up her stockings, she has to help the girls' basketball team win the championship. And it falls to Jane -- the only person in town with enough courage -- to stand up to the frightful mechanical wizard, Wallie Bangs. 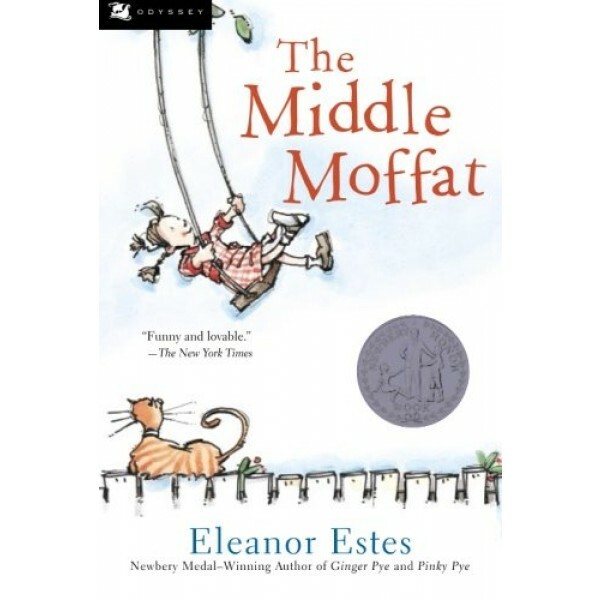 The Middle Moffat is the second book in The Moffats series. It comes after The Moffats, and is followed by Rufus M. and The Moffat Museum. Eleanor Estes (1906-1988), a children's librarian for many years, launched her writing career with the publication of The Moffats in 1941. 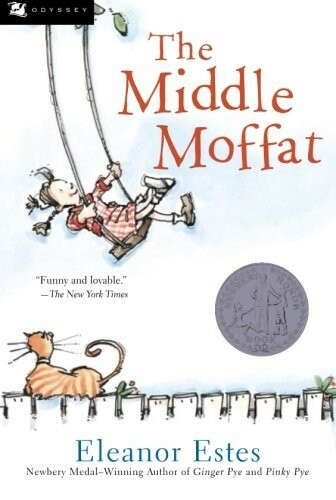 Two of her books about the Moffats are Newbery Honor books, as is The Hundred Dresses. She won the Newbery Medal for Ginger Pye in 1952.